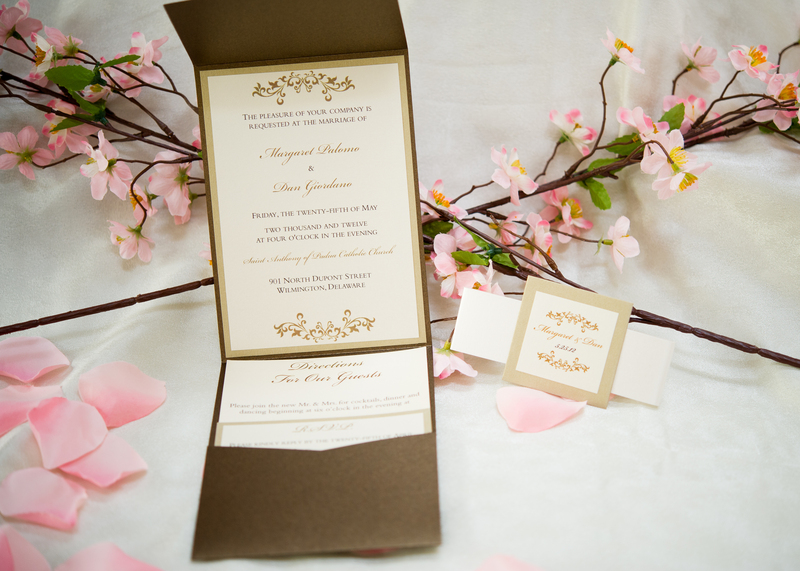 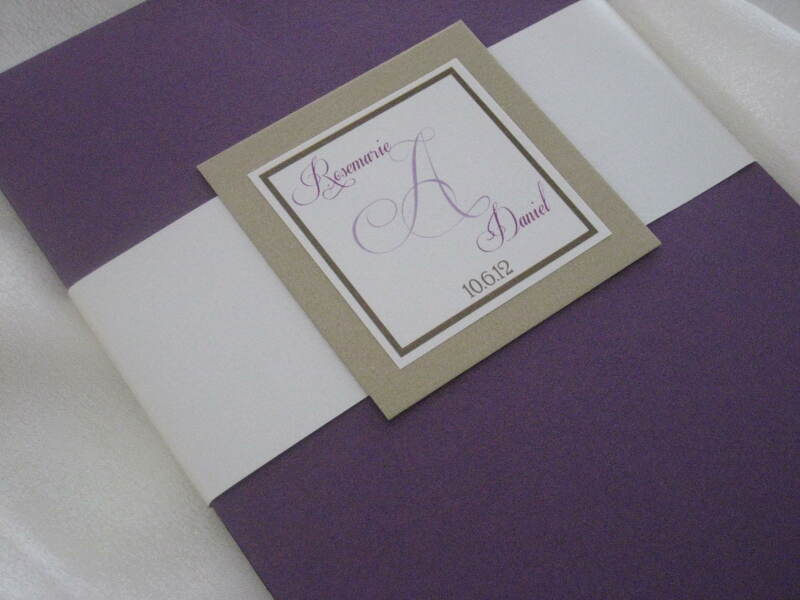 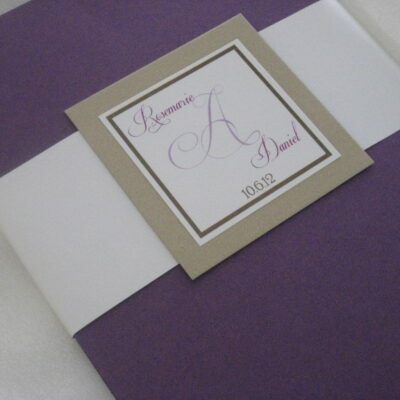 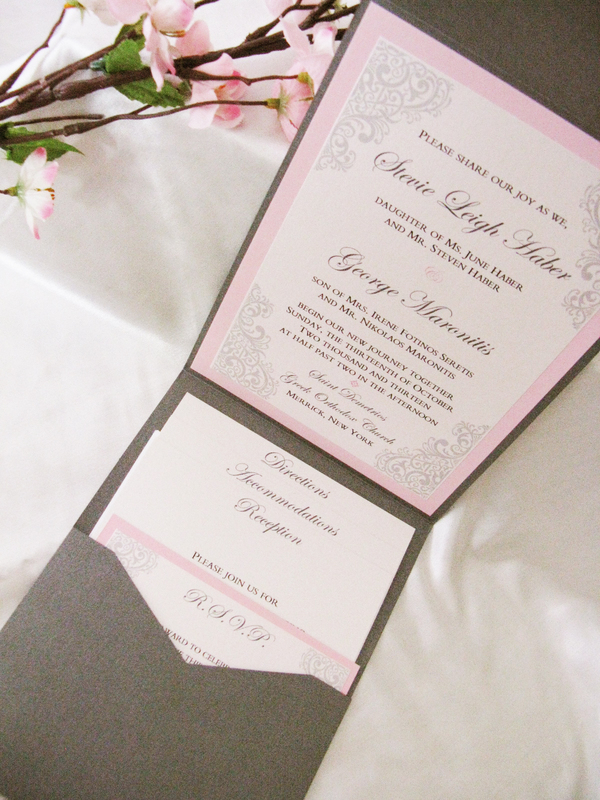 This is our standard 5 x 7 Pocket Suite; Features pocket fold with border layer, printed top layer, 2 inserts, matching 2 layered reply card. 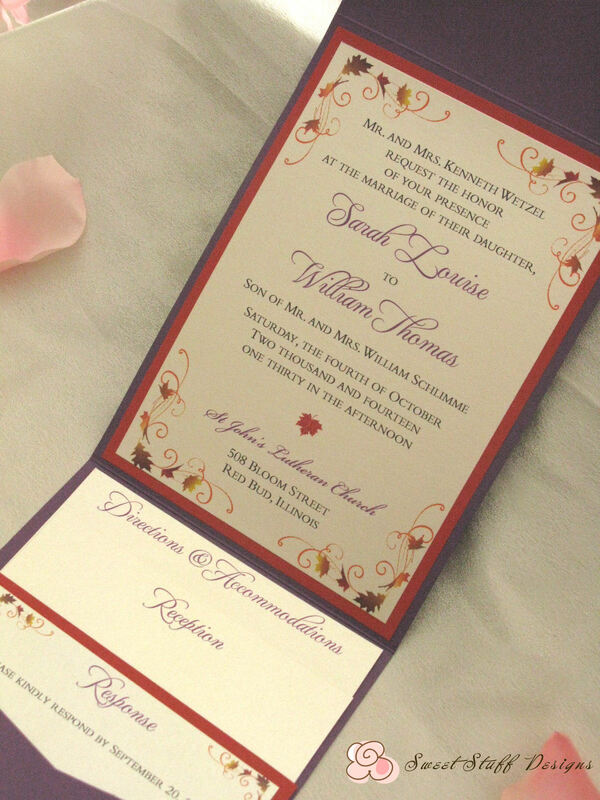 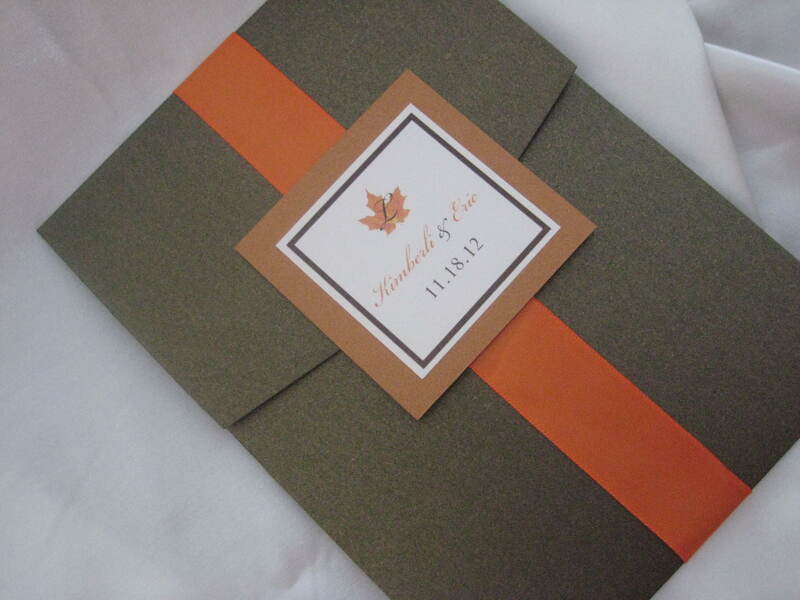 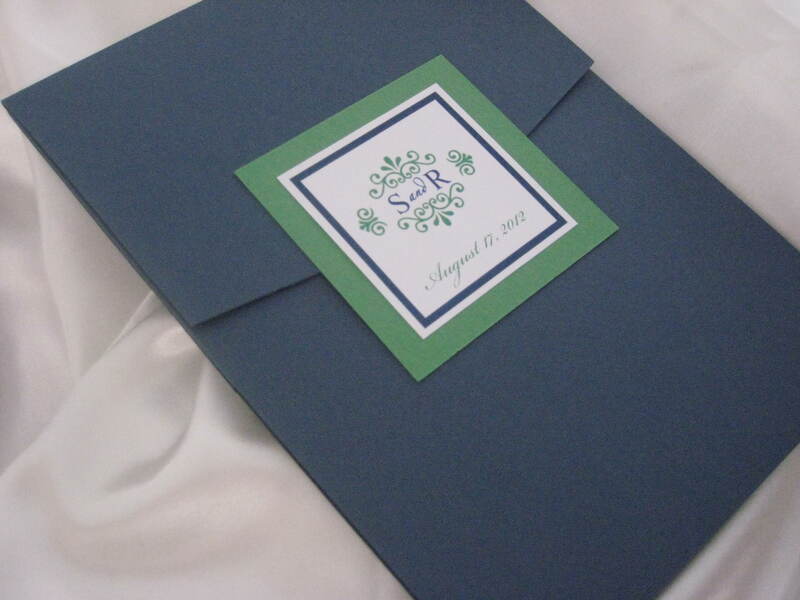 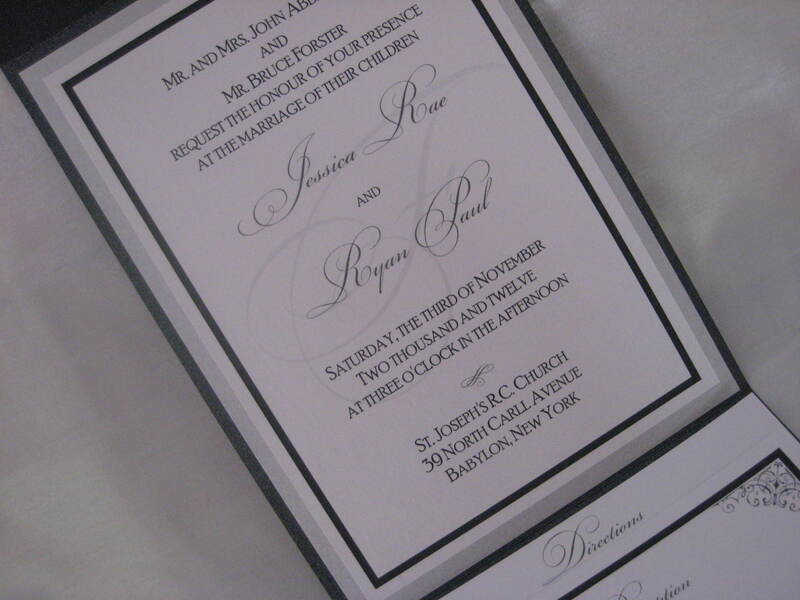 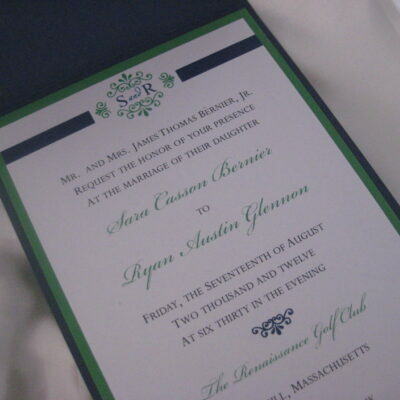 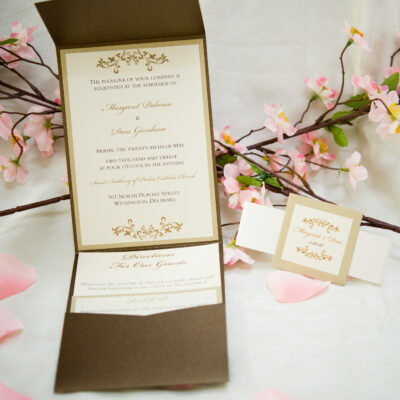 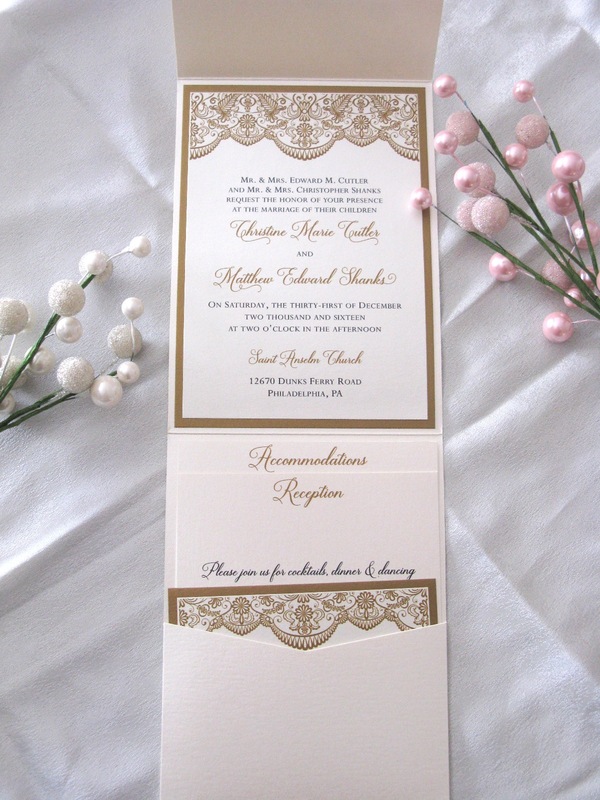 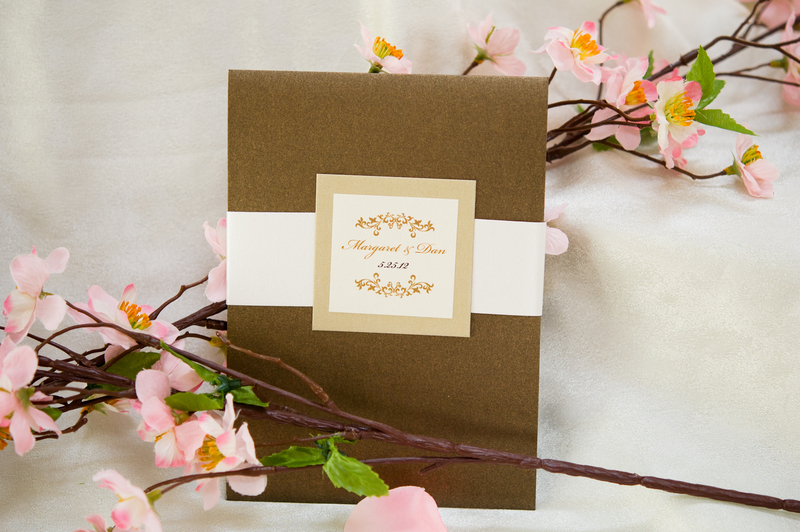 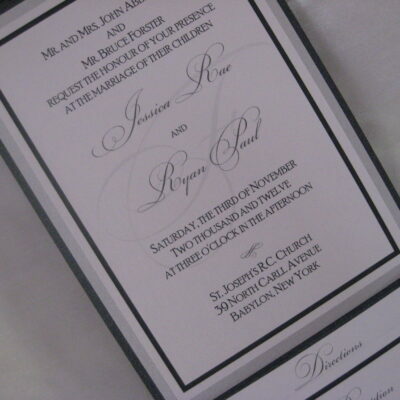 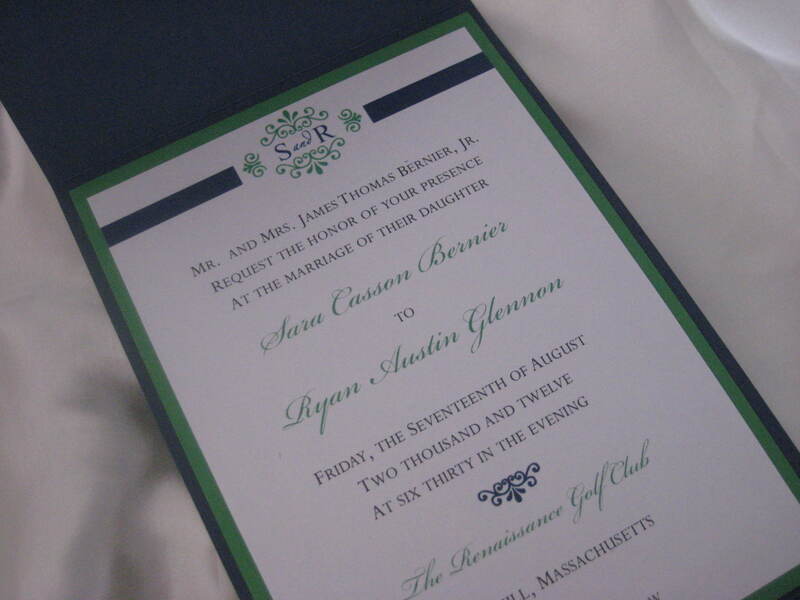 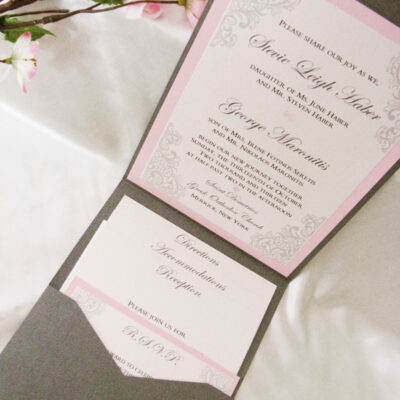 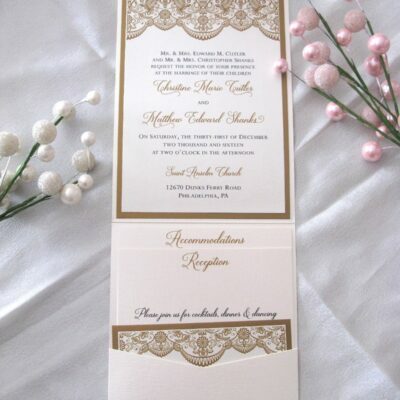 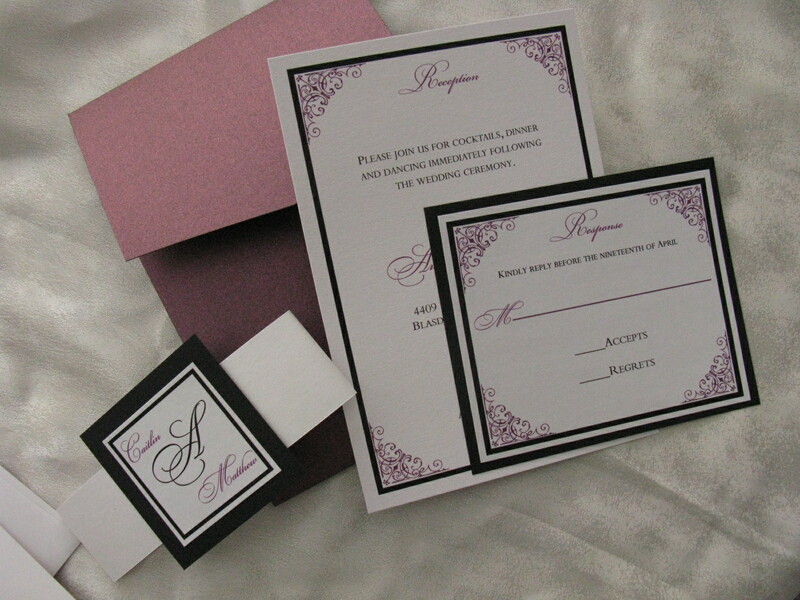 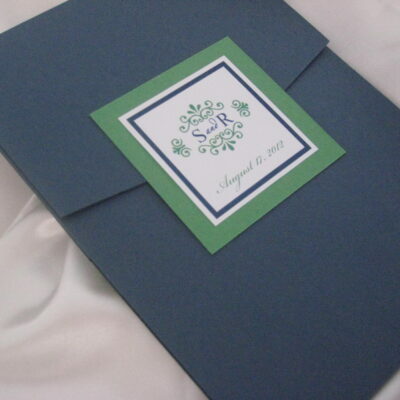 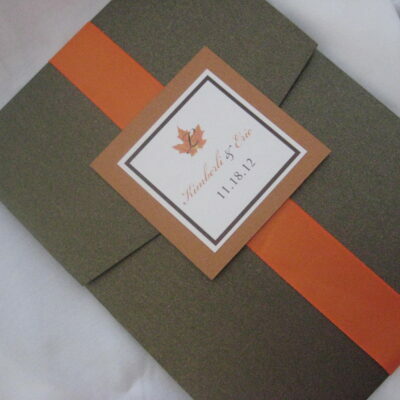 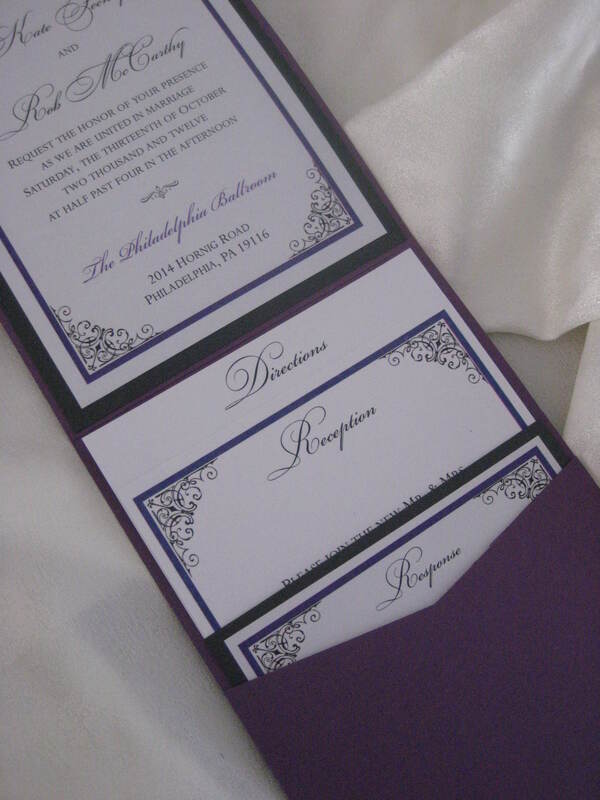 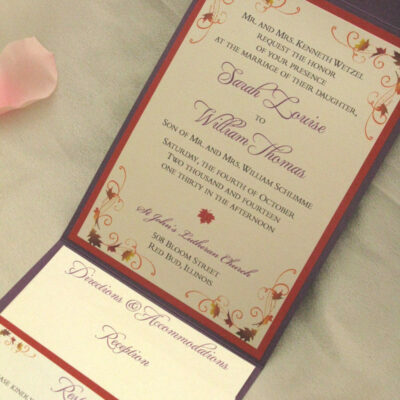 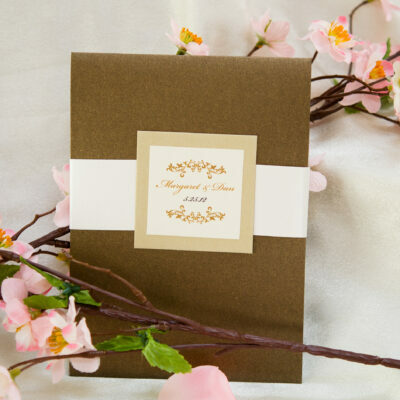 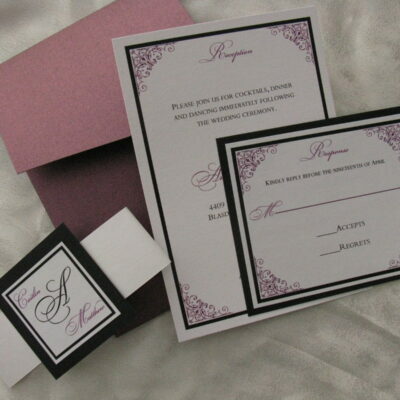 Also included but not shown–outer and mailing envelope with return address pre-printed in white or natural white color. 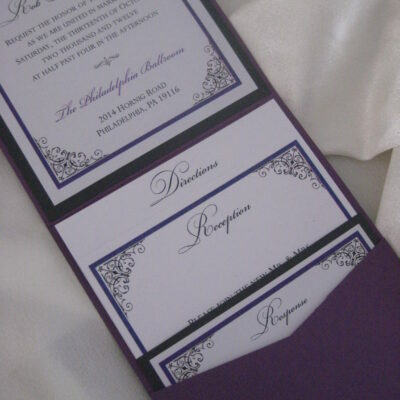 Includes the 2 layered tag/band combo to close the pocket.